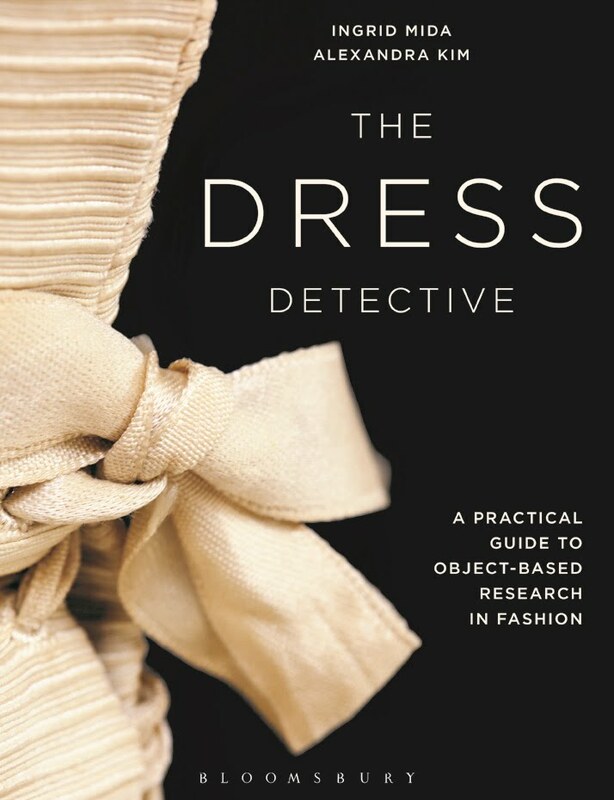 Although fashion blogs seem to be a relatively recent phenomena, the act of documenting one's selections of clothing and fabric choices goes back as far as the 18th century. Barbara Johnson, a well-off Englishwoman from a clerical family, made detailed notes about her wardrobe for the period 1760-1823. 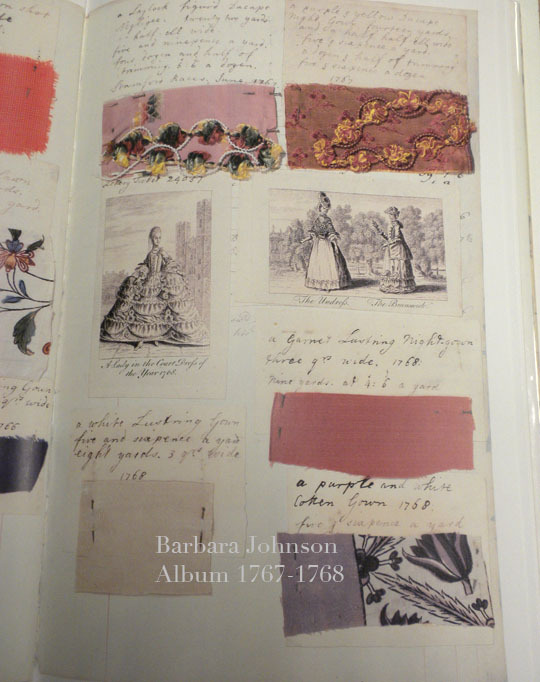 Her album includes a detailed description of each garment, fabric swatches, information about cost and trimmings as well as clipped pocketbook engravings (plates that preceded the illustrated fashion journals) with the styles of the day. Her album survives today in the collections of the Victoria and Albert Museum. It was reproduced into book format in 1987 because it is too fragile to be handled. Not only does this album reflect the changes in silhouette and style over time, it also mirrors the graceful aging of a woman who knew was appropriate for her figure. Stylish to the end, her choices of fabric, silhouette and trims reflect her status as an elegant and respected woman. Also notable in the album are her frequent purchases of mourning dress. Apparently, 18th century mourning requirements were as strict as in the Victorian age with three periods of mourning, categorized by degree. 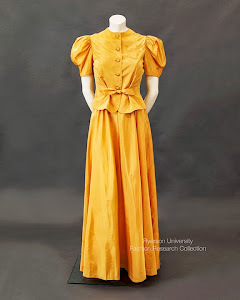 First degree required the most sombre dress in fabrics without colour, either in black or white, without sheen and with little or no trimmings and plain white accessories. Over time, the requirements relaxed but the mourning period was typically at least a year and was adopted after the deaths of family, close friends and in certain cases for the deaths of members of the Royal Family. 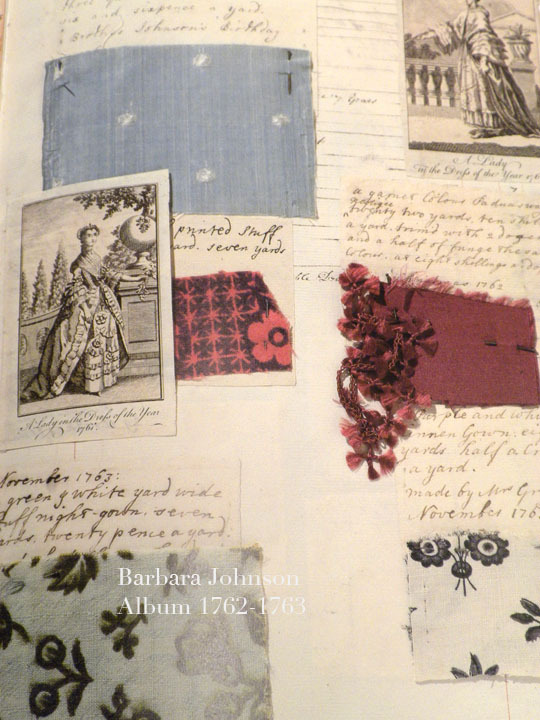 This book is a fascinating archive of fashion history for the period 1754-1832 and an important resource for fashion scholars and bloggers alike.